Is Snow Good or Bad for Your Roof? It’s about that time of year when the snowbanks pile up and the whole world is covered in a blanket of white. 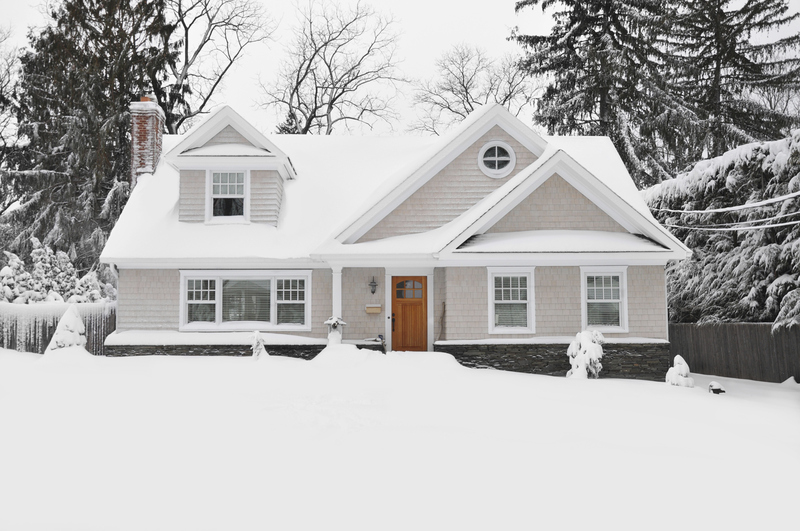 While you’ve been bundled up indoors under a pile of blankets—if you’re lucky!—you may not have noticed that your home’s exterior hasn’t been immune to the snow either. A good blanket of snow can have some curious effects on your roof. If there’s enough of it, you may even need to work out a plan to remove it, although you’ll need to be careful when you do. Melting snow that turns into ice and then refreezes can turn into ice dams that cause problems as well. But a light blanket of snow may even act like insulation, keeping heat inside your home where it belongs. Today, let’s discuss rooftop snow—when it needs to be removed and how to do it, and when it’s more useful staying exactly where it is. 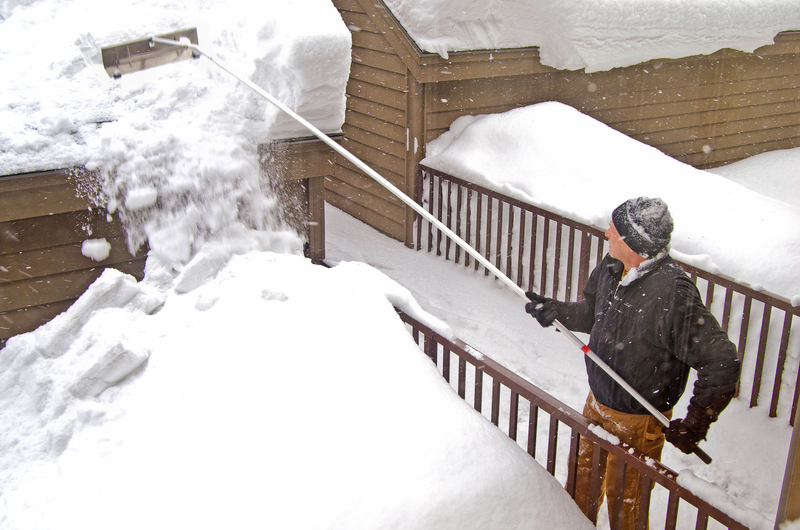 A lot of homeowners get worried when they see snow pile up on their roof—but it’s actually a good thing! If the snow isn’t melting quickly, it means that heat from your home isn’t escaping through your attic floors and then transferring from your roof to the exteriors. You wouldn’t think that heat transfer would be such a problem, but the issue is that the heat through the roof doesn’t exactly transfer evenly. When it hits the edges of your roof and approaches your gutters, where it’s colder, it typically refreezes. That creates a condition known as an ice dam, when a solid ridge of ice starts to form over the edge of the roof. Those blocks of ice can lead to leaks and roof damage, so the fact that your roof isn’t producing them is good news. A very heavy snow can be kind of tough on your roof, particularly if you live in a climate that regularly gets two feet or more. Your roof is built to withstand snow, but if the old accumulation hasn’t yet melted away, more snow on top of this older, wet layer can be quite heavy. Generally, most roofs max out at about 20 pounds of snow per square foot, which translates to around two feet of wet snow or up to four feet of light, fluffy snow. Once you start hitting those levels, you may want to think about removing the snow. Otherwise, it could potentially cause your roof to cave in, which is a terrible experience in any weather, but particularly during subzero temperatures. Still, you can’t exactly get on top of your roof with a snow shovel. If you have an asphalt roof, you run the risk of doing serious damage to your shingles, which can cause your roof to leak afterwards—and all kinds of havoc as a consequence. Instead, hire a roofing contractor to safely handle the removal for you. It generally only costs about $100 to $500, and it will save your roof a lot of wear and tear. If the roofers in your area are all booked up, you can do some of the work yourself using a special tool called a roof rake. This long-armed instrument looks sort of like a window squeegee you’d find at a carwash, except it has an aluminum blade with a set of rolling wheels on each end to keep it from damaging your roof. Blanketing snow has led some homeowners to wonder if that snow acts like insulation. After all, it’s not allowing heat to escape. Plus, a light, fluffy snow is made up of ice crystals suspended in pockets of air—that’s the same composition of fiberglass insulation, except glass instead of ice. Many homeowners report that their homes feel warmer after a good snow, as long as there’s enough insulation in the attic floor to keep that heat inside, and the snow on the roof. According to one anecdotal source, a snowfall that measures about 0.07 inches in density (or seven percent water volume) has about the same insulation value as a standard batt of fiberglass insulation with an R-value of 18. So snow does likely help reflect some of that heat back into your home—but of course, you should rely on that for your home’s insulation! If you’re concerned about the heating in your home, some better ideas are adding more fiberglass insulation between the joists in your attic floor, installing a radiant barrier below your roof, or adding rigid foam insulation above your roof sheathing. Or, you may want to investigate your home’s air sealing, particularly around your chimney, pipes, windows, and doors—and have an HVAC specialist make sure your ducts aren’t leaking heat, either. All of those ideas will help you keep your home warmer even after the snow melts—which, with any luck, will be any day now!